Lovely images and great choice of colours and design. 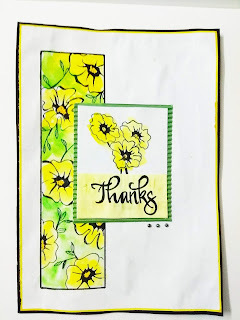 Thank you for joining our 'Thanks a Bunch' challenge over at Allsorts. Such lovely flowers! Thank you so much for entering our challenge at Allsorts this time. Really pretty colors and image! That yellow just pops and speaks sunshine and happiness to me. Works beautifully with the sketch. Thank you for playing with AHSC this week. Reminds me that spring is right around the corner! Lovely take on the throwdown colors! I love the colors you chose. So bright and cheery. Thanks for joining us at AHSC! Such a cool card design and beautiful flowers! 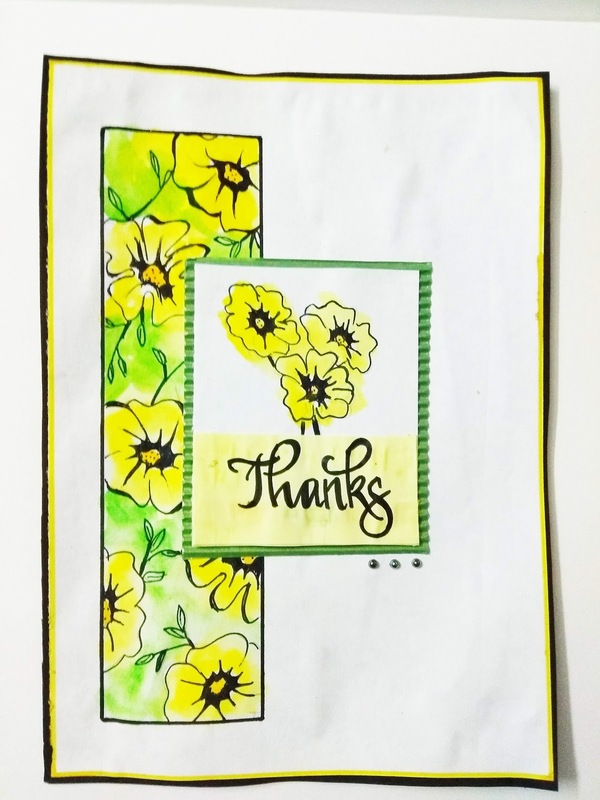 Thanks so much for joining us at Stamp, Ink, Paper this week for our Thank You Card Challenge! Loving the flowers and the bright yellow, so full of spring goodness which I am so ready for! Thanks for playing along with Atlantic Hearts Sketch Challenge (AHSC).